John McCain doesn't want to answer questions from snowmen. Neither does Mitt Romney. They both thought the global warming question posed by a melting snowman in the CNN-YouTube Democratic debate was "inappropriate." And the offbeat tone of the "revolutionary" debate has scared off some of the Republican candidates, most of whom still haven't committed to the GOP version, scheduled for September 17th. I didn't think the debate was as groundbreaking as Anderson Cooper made it out to be (NB: Anderson is a sweet, sensitive guy, who's had a lot of sorrow in his life, so please lay off and don't begrudge him his success! ), but I did find it more entertaining than your typically unilluminating slog through stump-speech answers to boring questions posed by reporters like me. This was hardly the first time citizens got to send in questions - that's a debate routine now - but they're usually done by email or on cards handed out to the audience. But the video angle was fresh, and it did liven things up, bringing much more pathos, humor, and yes, props - be they assault rifles, American flags, or family members. The YouTube format may help Americans better answer the proverbial "with which of these yahoos would I rather have a beer?" question (maybe they ask it because too often the policies of our presidents make us feel like we NEED a beer). I've been a panelist on several debates - senatorial, gubernatorial, mayoral, never presidential - and the question-crafting process is a difficult one. We want to cover a lot of ground, and there are always questions we feel MUST be asked...but we're also trained to ask about issues in a certain way, without revealing biases (which of course we don't have), while still hoping to get the candidates to say something newsy or revealing. In my experience, most of the questions turned in by the public are much like ours, but written unprofessionally. But maybe ten percent of the "real people" have probing, insightful queries that go boldly where we wouldn't dare - and they ask passionately about issues that matter deeply to them. The best of those stood out at the recent debate. Few political journalists would bother asking about reparations for slavery or couch a gay marriage question in personal terms - but when a voter does it, it hits home. The candidates are well-trained, too, to not answer the questions, or to use them as a platform for a finely honed message. The direct approach of the videotaped voters laid that bare, and the candidates who got caught naked fared the worst. Barack Obama, for example, for all his charismatic appeal, undermines his "fresh and different" message when he comes off as a politics-as-usual question-dodger of the first rank. On the campaign trail, Obama can be tentative, often avoids reporters, and doesn't have the depth of knowledge to respond quickly and cogently to every issue. At this debate, that showed as he repeatedly sidestepped questions, not answering directly on the reparations issue, or whether American soldiers died in vain in Vietnam. Obama treats his answers like magazine pieces instead of news bulletins; he backs into the answer and buries the lead deep within his feature-length, filibuster responses. Hillary Clinton, on the other hand, continues to shine. She was smooth, relaxed, confident and sharp, demonstrating complete command of the issues and facts, comfortable in her own skin and emanating a presidential air that so far escapes all of the other candidates. Eight years in the White House and more than six in the Senate can do that for a person. She may be peaking too soon, but she is far exceeding expectations so far, and to me, right now, she has to be the odds-on favorite to be the Democratic nominee. The others all had their moments: Bill Richardson was forceful on Darfur, and he and Joe Biden both were strong on international topics, because of their experience there; John Edwards came off as earnest and sincere, and his "Hair" video was the best, funniest, and most memorable of the candidates' "YouTube-style videos" (most of them were essentially warmed-over campaign spots; Edwards actually produced something special that managed to be both humorous and poignant). But the bottom-tier candidates did nothing to distinguish themselves, or to change the nature of this race. Right now, it's Hillary on top, Obama a fading second, and Edwards scrambling to stay close. As for the Republicans, the GOP edition of the YouTube debate could have a greater impact, and right now, with his campaign seemingly going down the tubes, John McCain would do well to take part. It's McCain who's melting down, so he'd better take questions from snowmen, cavemen, and anyone else who bothers to send in a video. My name is Doug, and I am a political junkie. Have been since I was seven years old. Forget the 12 steps - how about 12 presidential elections? 2008 makes it an even dozen in my lifetime, although, yes, I've only been politically aware for 11 of them. Forty years after my political baptism (as a juvenile guerrilla volunteer in a Wisconsin congressional campaign), we find ourselves in the midst of a fascinating, and potentially history-making, presidential election. Americans may choose a woman as president for the first time. Or the first African-American. Or the first Latino. They may elevate a mayor to the White House for the first time. We may have our second Catholic president, or only our second divorced one, or the first Vietnam vet, or the first Mormon. The 2008 field is among the largest in history, and it's the most wide-open race since 1928. And you can follow it all at Sovern Nation, part of the KCBS Radio Campaign Watch. I am covering the presidential race for KCBS (740 AM, San Francisco on your radio dial or listen live at www.kcbs.com). You can find exclusive interviews and all sorts of unique content at the Sovern Nation section of kcbs.com. We plan to interview every Democratic and Republican candidate; so far, I've sat down with five of them. Every time one of them visits the Bay Area and gives a speech or holds a campaign event, we'll post the audio. I and my colleagues at KCBS are doing all sorts of feature stories about the campaign and the candidates, and you can hear those at the site. We've also got weekly trivia, a Follow the Money link, a Poll of the Week with the latest survey results, a Power Rankings feature, and much more. I've written biographies of each candidate, and there are links to their campaign websites. I'm working on an Issues Chart, to help you see where each one stands on the critical issues facing our country. And there are many more features in the works! 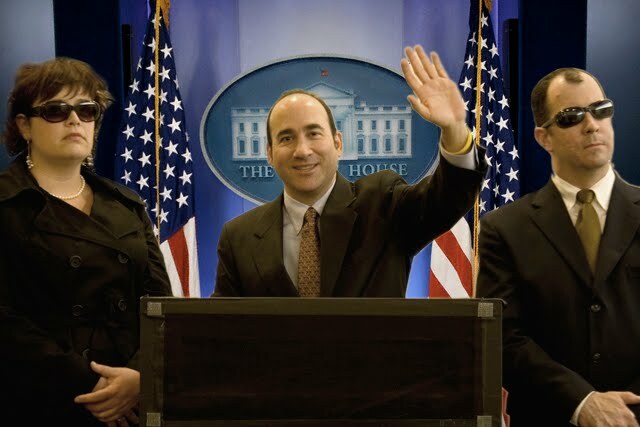 We want to make Sovern Nation nothing less than your one-stop, go-to website for the 2008 presidential race, to help all of us make up our minds as we elect America's 44th president. Informative, illuminating but also fun - stuff you won't find anywhere else - along with the latest campaign video and audio from CBS News. Okay, maybe it's ambitious, but as I said, I'm a political junkie, so it will be a labor of love. I welcome your feedback and comments. I'll blog in this space as the campaign goes along, about whatever happens along the way, from close encounters with Hillary Clinton to how Mitt Romney did in the latest debate. Thanks for reading, and listening, and make sure you register to vote in 2008! Simply click on the Sovern Nation weblink to the right to check out the site.